A collection of five time-spanning, interconnected novellas that weave a subtle science-fictional web that stretches from the present into the future as our world collides with a mysterious alternate universe. Each of these stories presents a teen trying to find his or her way in unusual circumstances. Five teens, five futures. Dylan develops a sixth sense that allows him to glimpse another world. Thirty years from now, Epony scrubs her entire online profile from the web and goes "high-concept." Sixty years from now, Reef struggles to survive in a city turned into a virtual game board. 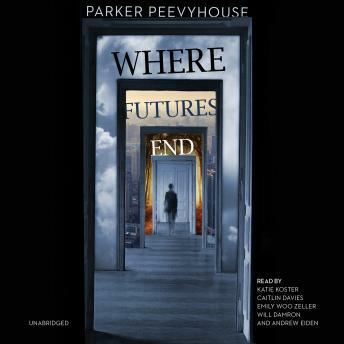 Going beyond the usual boundaries of YA fiction, this will appeal to fans of authors-like Marcus Sedgwick, Patrick Ness, Kelly Link, M. T. Anderson, and David Mitchell-who wonder about the future and what the future will bring.